Alexandra “Alexis” Canalos-Castillo is director of coaching for StriveTogether, where she designs and delivers a range of intensive coaching and strategic assistance engagements across the Cradle to Career Network. 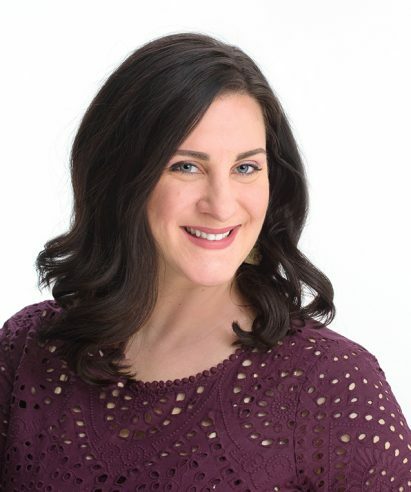 Alexis is an associate certified coach with a passion for facilitating courageous action to create an environment where individuals and partnerships can be successful in what matters most to them. Before joining the team, Alexis was the director of programs and strategy at Center for Changing Lives, designing and executing programming to serve Chicago’s Latinx population experiencing housing instability. There, she led the organization’s economic opportunity services to increase client access to resources and financial opportunities and oversaw the expansion of community programs. She spent her years prior to that role in workforce development, community organizing and issue-based advocacy work. Alexis holds a master of social work with a focus on community planning, organizing and development from the University of Chicago’s School of Social Service Administration. Recently, she completed the Greater Good Nonprofit Leaders Program at Northwestern University Kellogg School of Management’s Center for Nonprofit Management. Alexis lives in Chicago with her husband and stepdaughter and enjoys gardening and brunch. I wanted to be a professional traveling activist and jewelry-maker, and sometimes a farmer. I loved Spanish class with Señor Amstutz. In a high school civics class we had to make a mock campaign video highlighting our social platforms. The activity helped me think through access and opportunity in my own small town. What is something you learned to do as an adult? I have been lucky to have some amazing trips to South America, hiking in the Amazon with one of my best friends and visiting my husband’s home country, Panama.